Lelemba.com is a product of the Sandras and Lelemba Institute. Lelemba does not hold herself out as providing any legal, financial or other advice. Lelemba is not a legal, financial, or other planner. Lelemba also does not make any recommendation or endorsement as to any investment, advisor or other service or product or to any material submitted by third parties or linked to this website. In addition, Lelemba does not offer any advice regarding the nature, potential value or suitability of any particular investment, security or investment strategy. The methods, investment and services mentioned on this website may not be suitable for you. If you have any doubts you should contact an independent financial advisor. In some particular instances, some of the methods, investments and services mentioned may not be regulated under your specific country’s financial acts and the protection provided to you under any such acts will not apply. This website contains links to other websites which are not under the control of and are not maintained by Lelemba. Lelemba is not responsible for the content of those sites. Lelemba provides these links for your convenience only but does not necessarily endorse the material on these sites. Lelemba does not make recommendations for buying or selling any assets, investments, securities or options. 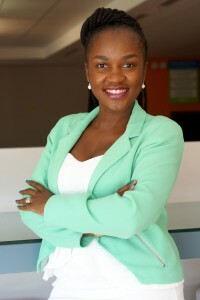 She is an educator and makes financial suggestions and it is up to the visitors/users to make their own decisions, or to consult with a registered investment advisor when evaluating the information on Lelemba.com. If you respond to Lelemba via email or other correspondence, your comments or questions may be reproduced on this site. If you don’t approve of this, please state specifically in your email that you do not want your information replicated on the site. Lelemba respects your privacy and will never knowingly reproduce any personal information that would jeopardize your privacy. Please note thats should you decide to do business with a service provider recommended on this site; it is at your own risk. We therefore cannot take responsibility for the quality of the advice or service they provide.